The Monetary Policy Committee (MPC) on Thursday voted 4-2 to slash the repo rate by 25 basis points. The repo rate now stands at 6 percent while the reverse repo rate is at 5.75 percent. The MPC’s decision to cut the benchmark interest rate was taken in line with the rising concerns over the country’s economic growth. The MPC resolution stated that the decisions conformed to the aim of achieving the ‘medium-term target for consumer price index (CPI) inflation of 4 percent, with provisions for +/- 2 percent band, while supporting growth’. 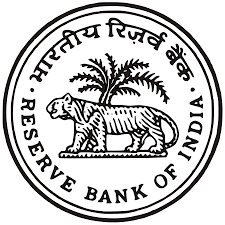 The RBI has projected India’s economic growth at 7.2 percent in the fiscal year 2020 as against the 7 percent in 2019. The growth in the global economy is expected to help the domestic economy gain some momentum. The Reserve Bank Deputy Governor Viral Acharya along with the committee member Chetan Ghate had voted for a status quo in rate while five of the six members voted in favour of keeping the stance unchanged at neutral. Committee member Ravindra Dholakia voted in favour of changing the stance to accommodative.